As January is upon us, many flowering plants are dormant as they take a long winter's rest. 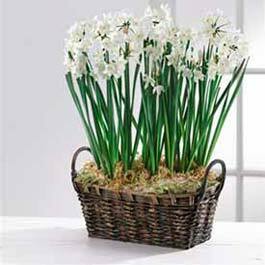 That's why paperwhites are so lovely and so easy to grow at this time of year. BFF and co-worker LC gifted J & I with a lovely paperwhite growing kit as a holiday hostess gift this past December. I could not wait to get these bulbs planted. As I stated, it is oh-so easy! 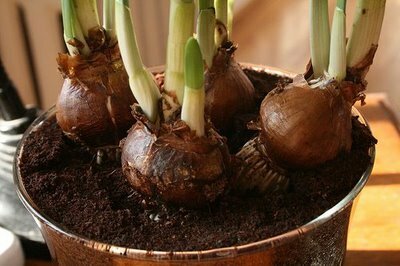 Bulbs can be planted in just about anything. Start with a clean container and add your choice of soil, pebbles, marbles, rocks, or hard candy (yes, hard candy!). The bulbs will grow so easily. Press the bulb into your "soil" choice making certain most of the bulb is below the "soil". Water regularly and watch them grow. After only two weeks, I had beautiful white flowers. I am still enjoying them today. I added a layer of green moss to beautify the soil and added coastal touches to the base. Use your creativity! I also placed the container into an antique silver champagne bucket. As they get taller, you may have to secure the long stems with ribbon and a stake. 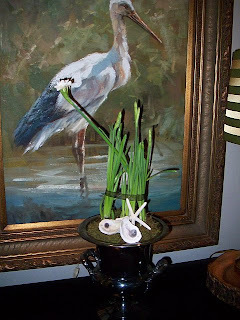 You will see below how I secured my paperwhites. Be creative too! 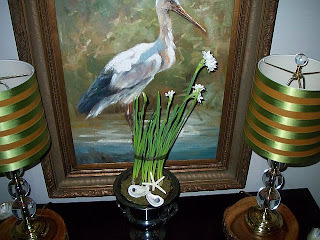 Paperwhites... How do you like the coastal touches added to the base? Paperwhites after being moved closer to a window. Notice my stake--- a Mardi Gras mask on a stick! Growing paperwhites is fun and easy. You will have some great blooms for several weeks into the long days of winter. You are so talented! Your paper whites look better than any I have ever seen! And, I know you certainly do posess a green thumb........I saw your yard in Atlanta!!! Hello RC! Thanks for the shout out! 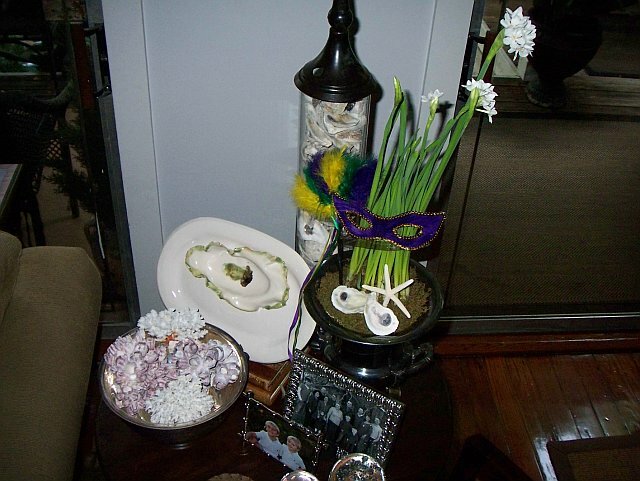 Love the paperwhites in the silver champagne bucket! 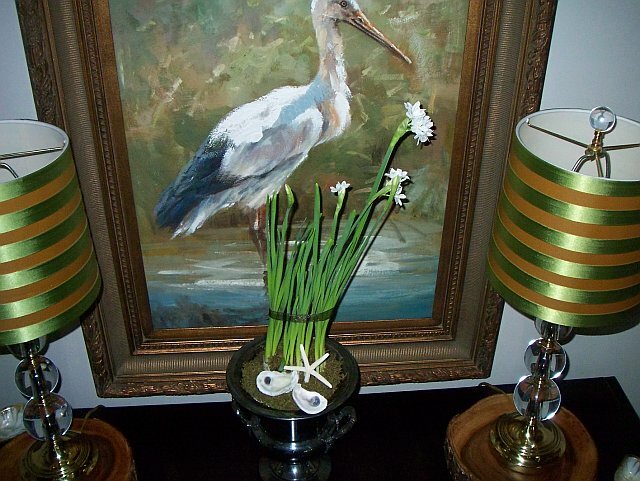 Do you know if you can still find paperwhites or did I miss it this season??? Can you get them already sprouted? Not sure if I have the green thumb you do!!! Thanks, y'all! @ Mel---you should still be able to find them at Pike Nurseries. Fun, easy, and beautiful!